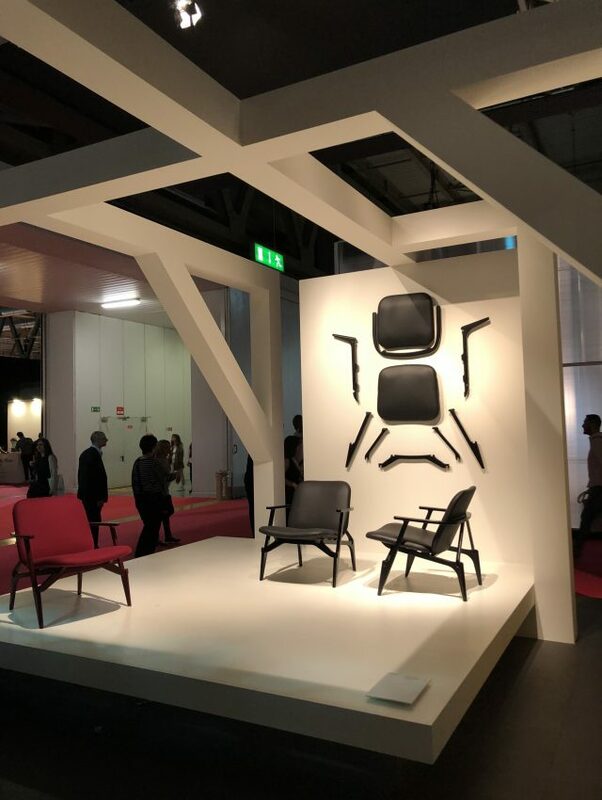 Every spring we have a mark on the calendar that remember us the most exciting week for any designer-lover: Milan Design Week, that started in Milan in 1961 as a fair to promote Italian furniture design, has become an international event in the design industry. 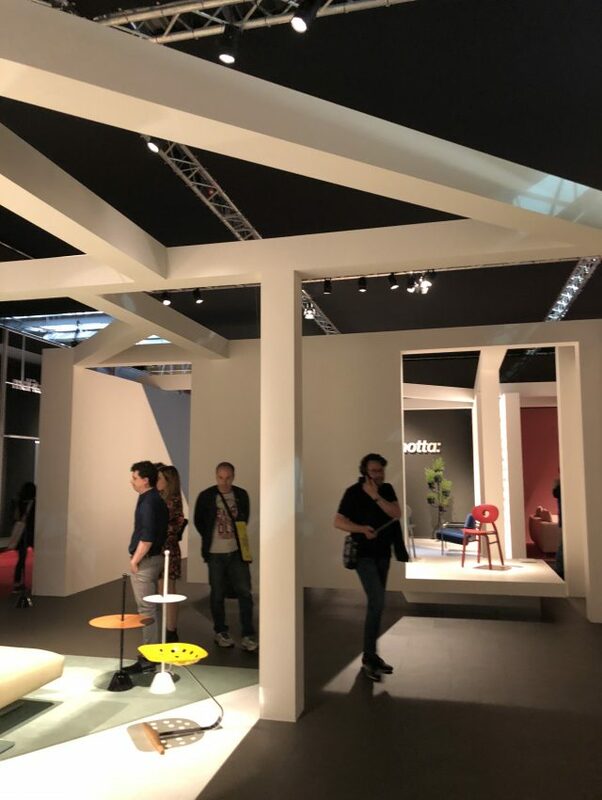 Milan Design Week takes over the entire city, including exhibitions all over the “design districts” and of course in The Salone del Mobile. 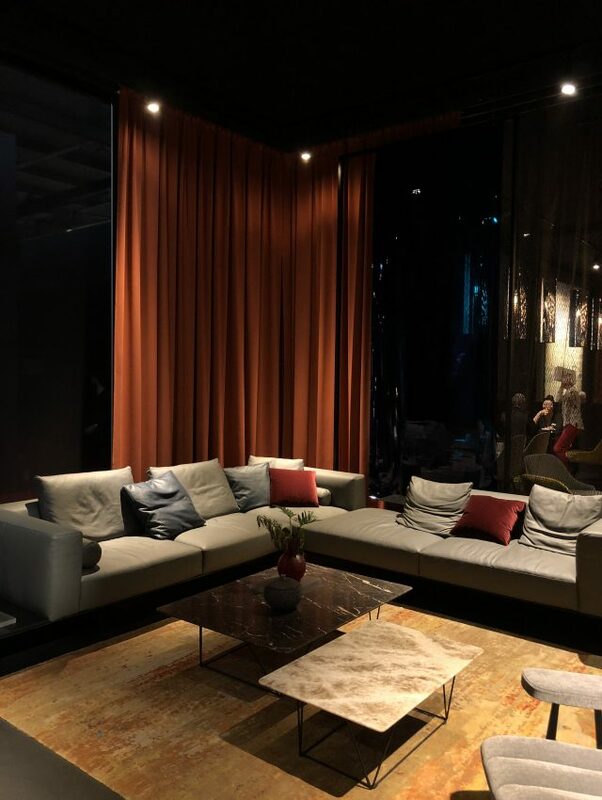 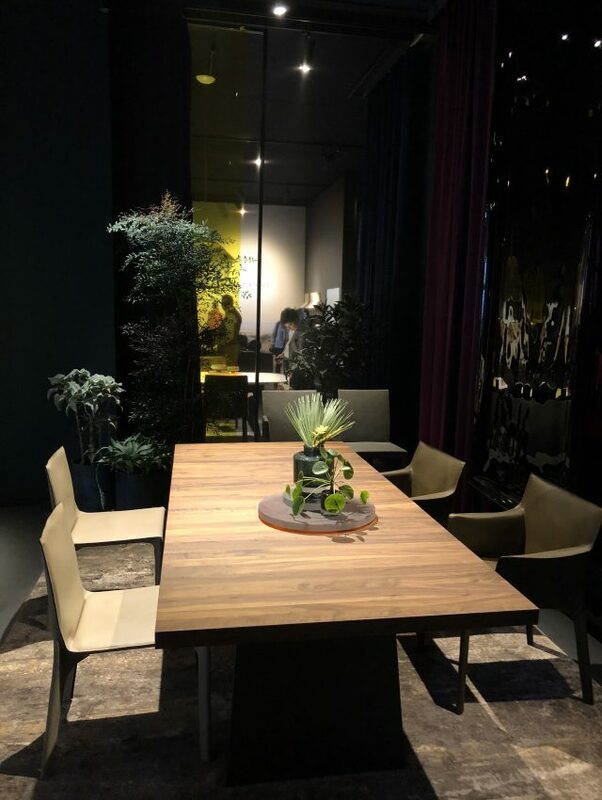 We spent the last week in Milano enjoying every corner, now we’re back and we’ll like to share our highlights of the Salone del Mobile exhibitions. 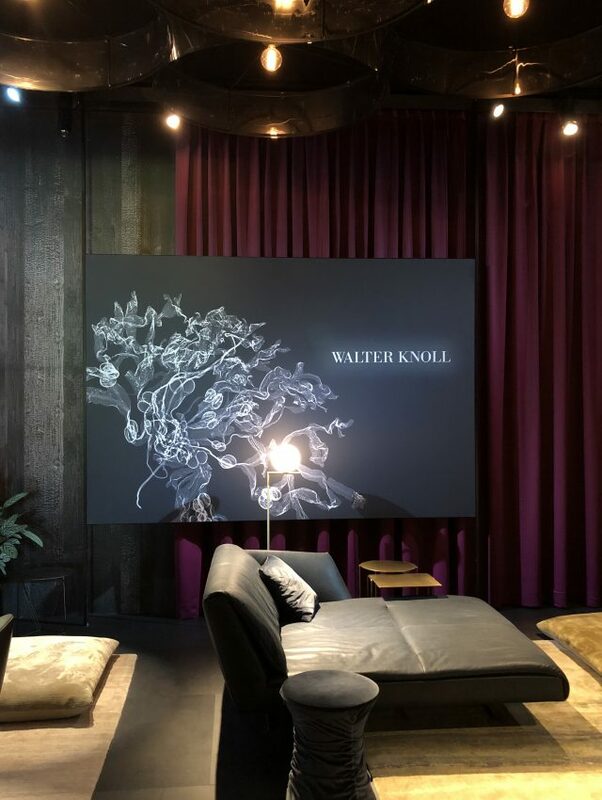 We found this exhibition stand for Walter Knoll furniture, where the dark atmosphere created a warm space to visit. 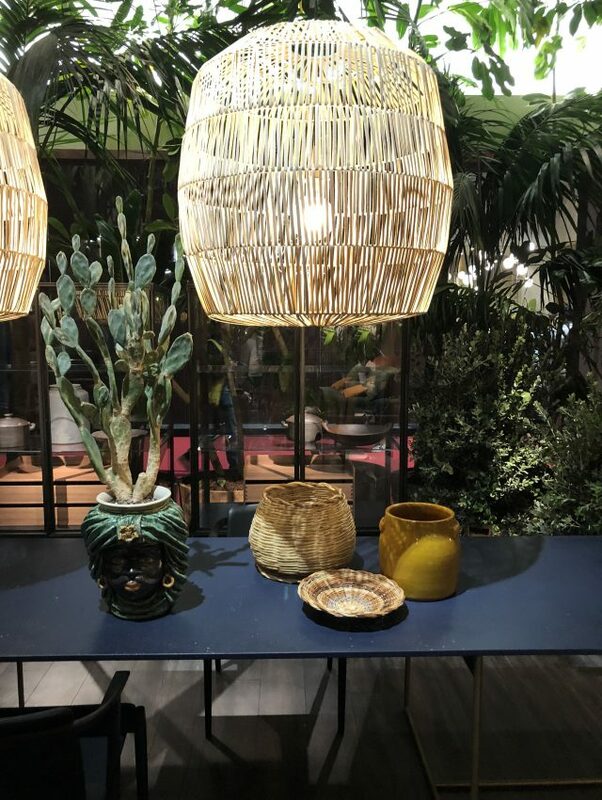 Yellow, burgundy and blue plastics have a strong presence inside the area, changing your visual in the space when you’re looking through them. 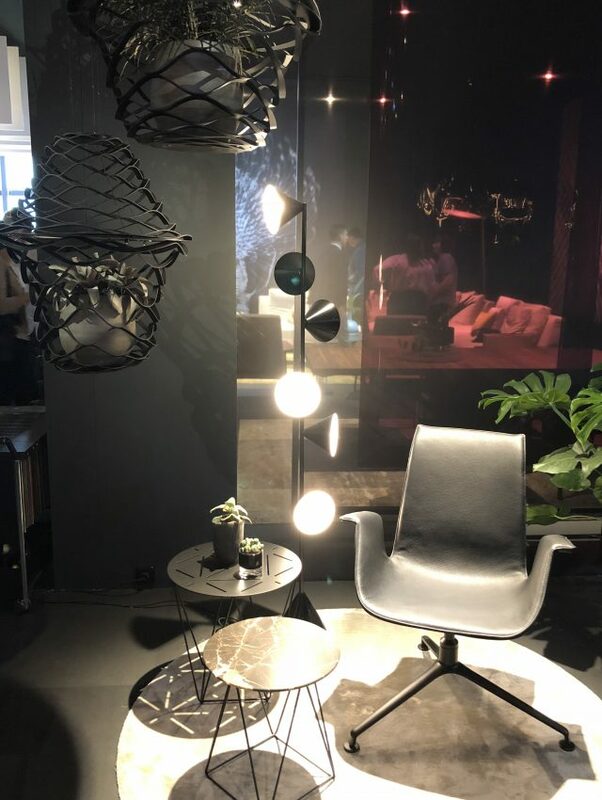 Also lighting fixtures were very carefully placed to enhance their tables, sofas and other furniture of the brand. 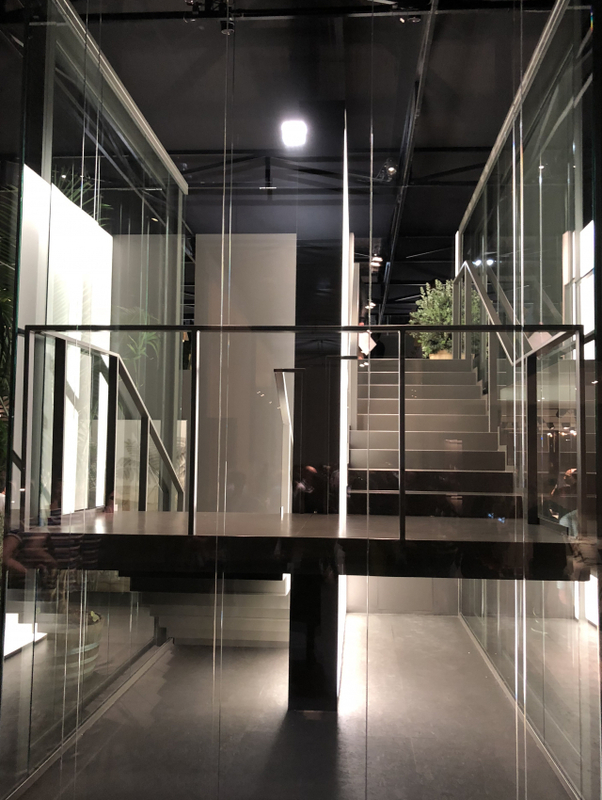 At the central zone of the space we found imposing and illuminated stairs that divide the main floor and the private area placed at the second floor. 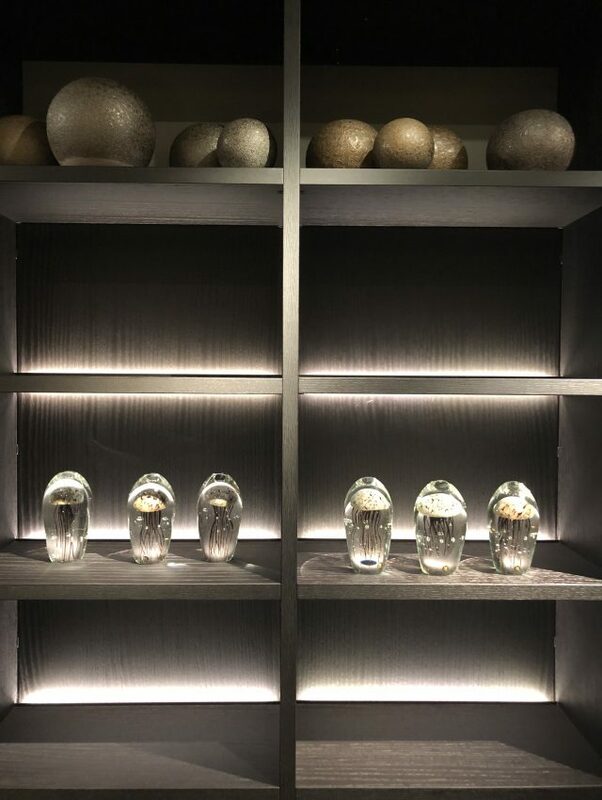 Lighting makes the game praising the decorative elements placed on the shelving system. 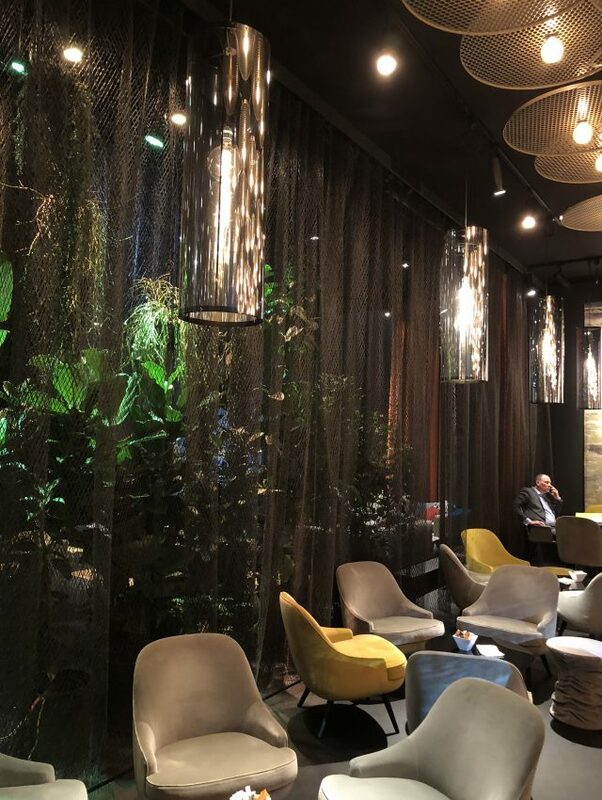 This was also one of the most trendy stand designs we found, including lots of vegetation and wall papers with tropical inspiration. 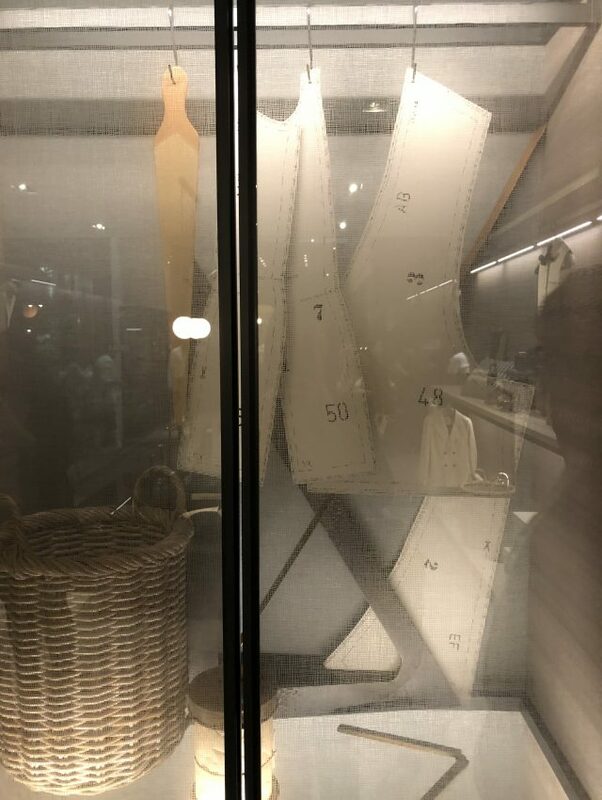 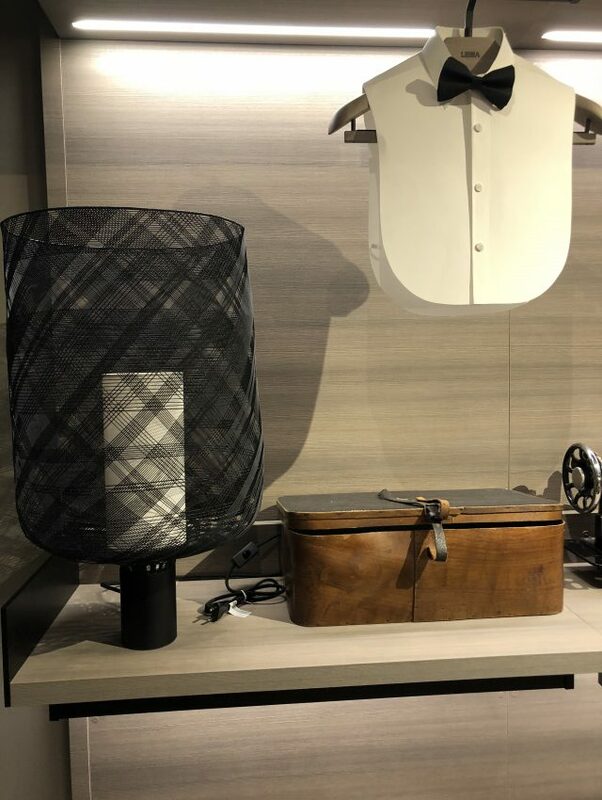 We’ll highlight the conceptual scenes designed for the stand like for example the dressing-room zone, decorated with patterns and sewing elements. 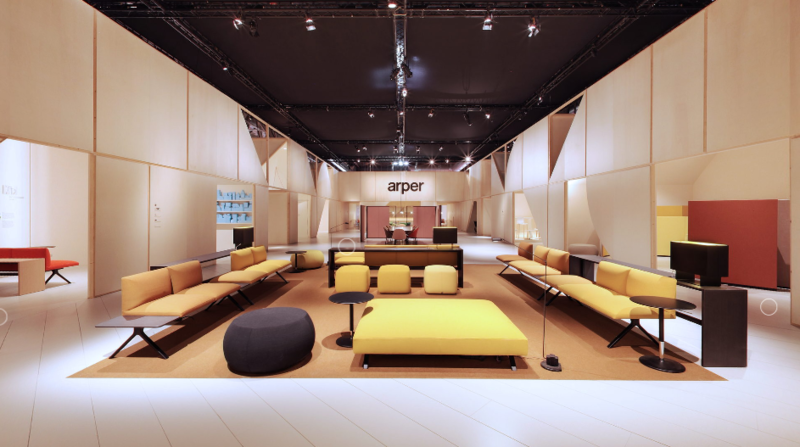 In this space stands out the irregular structure from ceiling to the cubicles where the products were exposed. 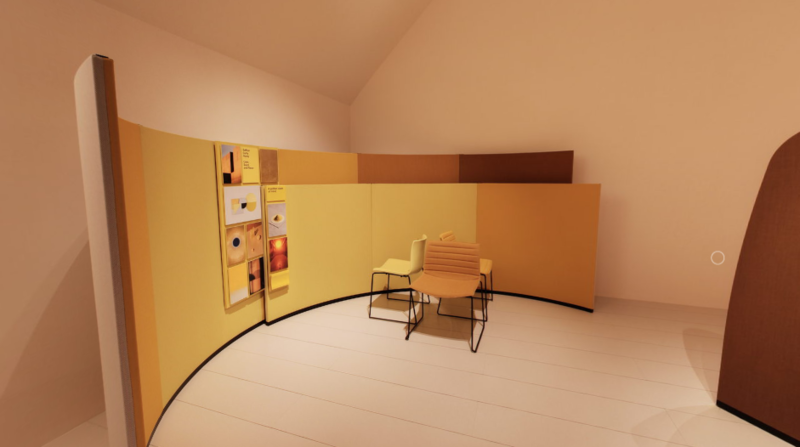 The different cubicles mark out the route to follow along the space. 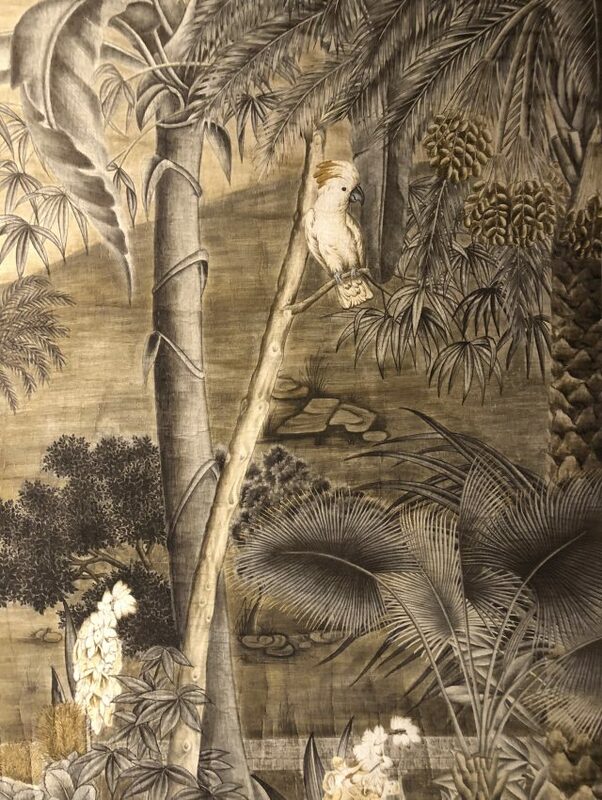 In each ambient a decoration element repeats on the wall creating a pattern with a brief colour palette. 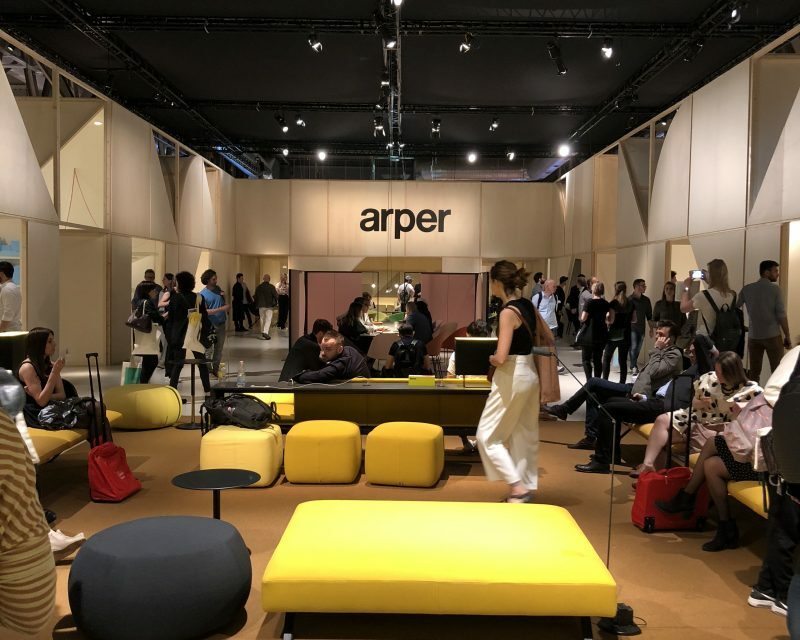 Once again Arper opted for the pine structure for its stand design. 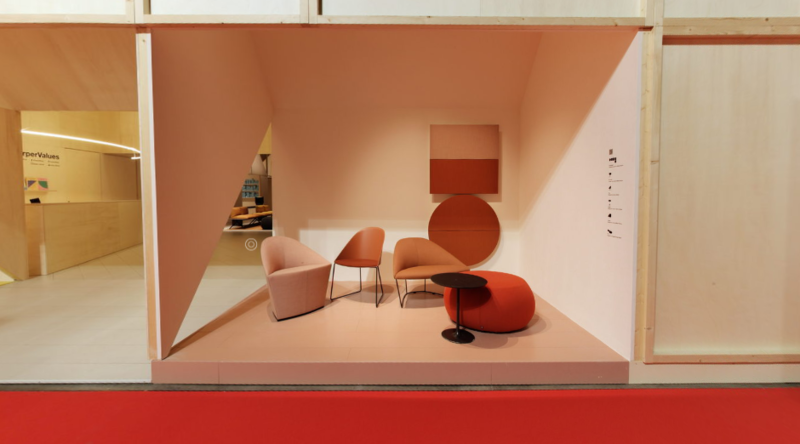 At the entrance you arrived to an open launch zone with some of their product exposed in there, and both sides you found all the different scenes, formed also by irregular shaped cubicles. 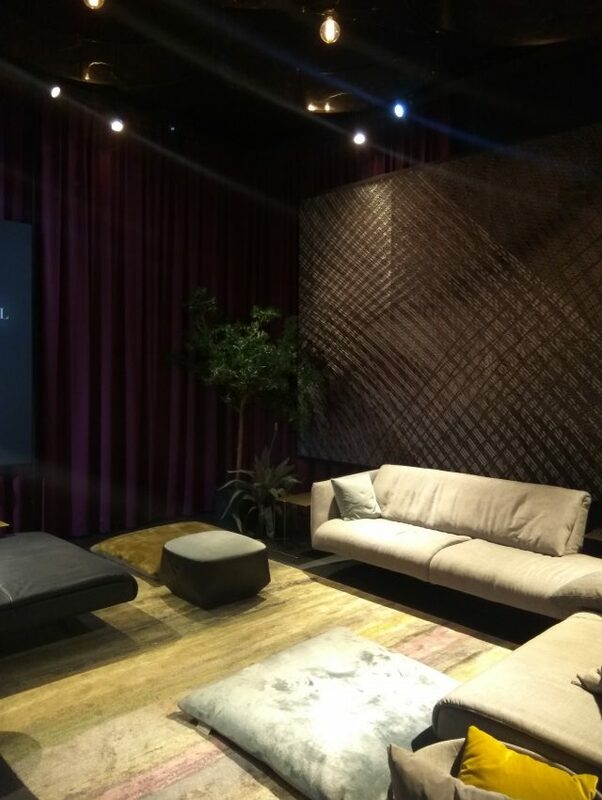 Designers played with straight and semi-circular shapes to delimit all the areas. 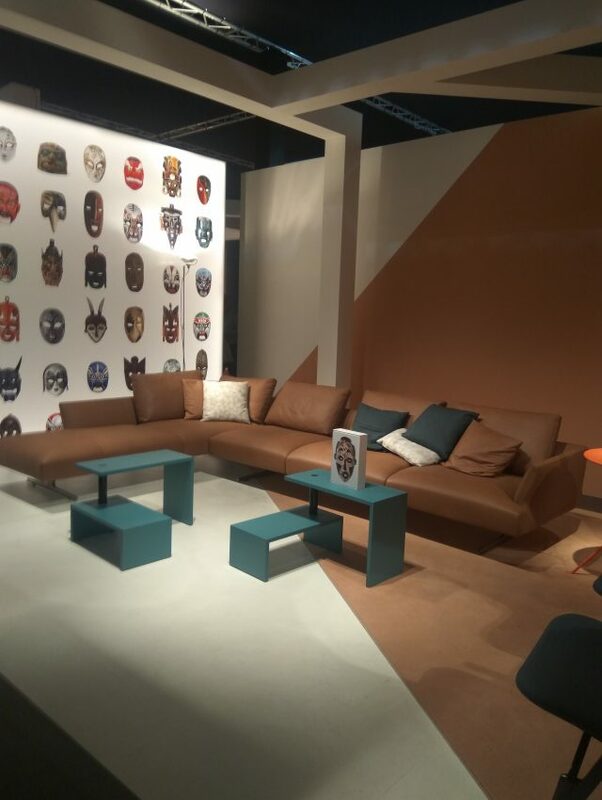 Each zone had a main colour combined with similar ones and we’ll highlight the great application of graphics in this stand. 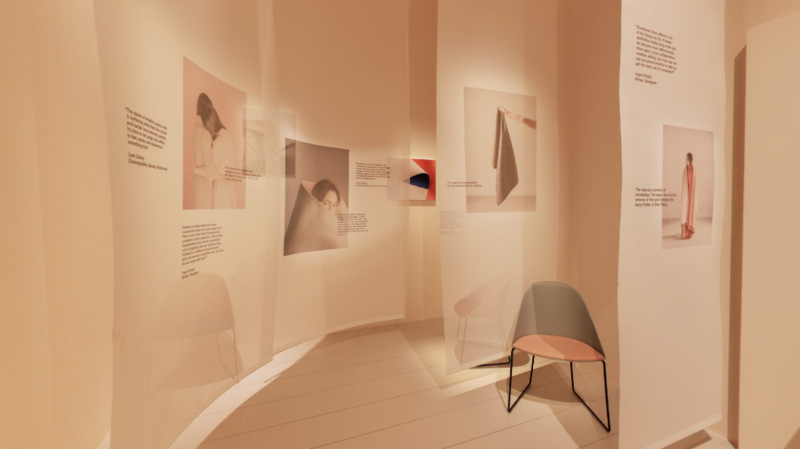 So soon we’ll also go through the “Fuorisalone” best designs, so stay tuned to the blog! 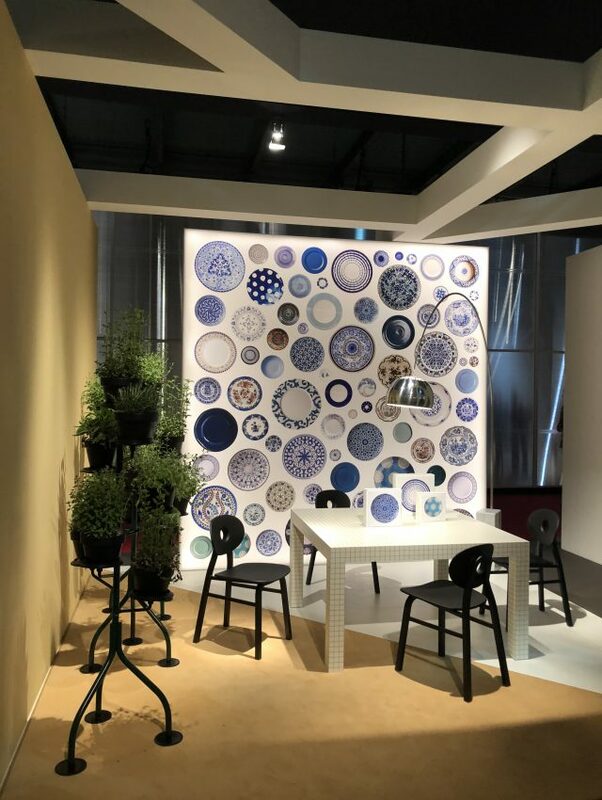 Award Winning Stand at Cevisama 2017!